Several hotels near the Manhattan Cruise Terminal give your family the opportunity to enjoy both worlds: have fun on an all inclusive Caribbean cruise and enjoy the attractions of New York City before or after your family Caribbean cruise ship vacation. The Manhattan Cruise Terminal address is: 711 12th Avenue (between 46th and 54th Streets), New York, NY 10019. This address puts the cruise terminal a short distance west of the New York Midtown area, not far from the heart of Manhattan and close to many top attractions in the city. Top attractions in New York City include the world-renowned Broadway, Times Square, The Statute of Liberty, Radio City, great New York Tours and too many fabulous museums to mention. Now that you have some great reasons (and many others to cruise to the Caribbean from New York), let me show you some recommended and affordable hotels near Manhattan Cruise Terminal. 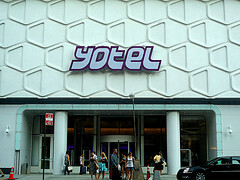 New York City Hotels - Find deals. Compare rates. Address of Hotel: 25 West 51st Entrance B, New York, NY 10019 US. Distance from Manhattan Cruise Terminal: 0.5 miles. 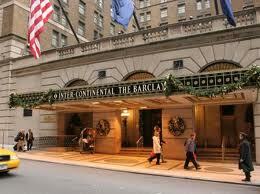 Address of Hotel: 440 West 57th Street, New York, NY 10019 US. Address of Hotel: 570 Tenth Avenue, New York, NY 10036 US. 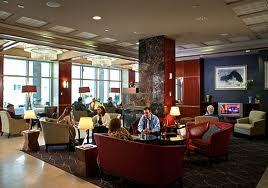 I have just listed 3 of many hotels near Manhattan Cruise Terminal from which you can choose. If you have not found the one that you are searching for, look below for more options. If you are still searching for an affordable hotel to stay near the New York Cruise Port and the major attractions of the city, follow any link below to learn more about other recommended hotels near Manhattan Cruise Terminal. 1. Hilton Garden Inn Times Square. 2. Comfort Inn Times Square. 3. 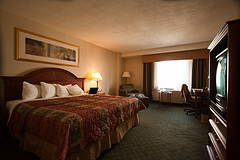 BEST WESTERN Convention Center Hotel. 4. InterContinental New York Times Square. 5. Best Western PLUS President Hotel at Times Square. 6. Paramount Hotel Times Square New York. 7. The Westin New York at Times Square. 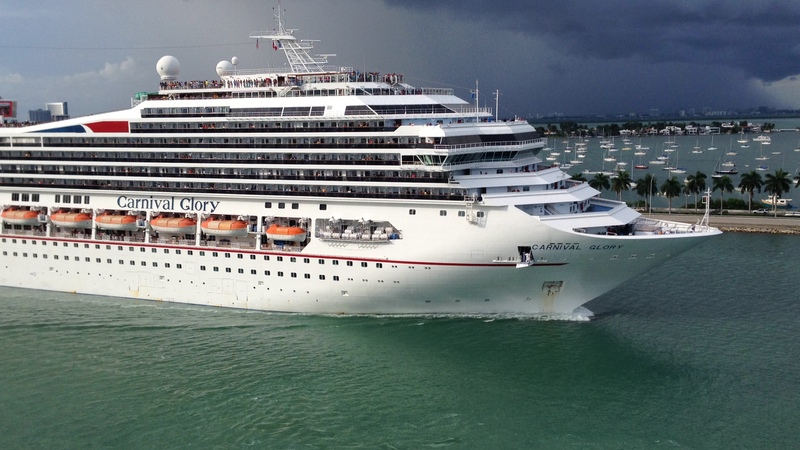 Now that you have found a hotel near the Manhattan Cruise Terminal, you may visit this page to see some Caribbean cruises that sail from the Manhattan Cruise Terminal. The New York Cruise Terminal's location puts it about 12 miles from La Guardia Airport, 15 miles from Newark Liberty Airport and 20 miles from John F. Kennedy Airport. La Guardia is the nearest airport to the New York cruise terminal and you will spend less time getting from there to hotels in Midtown-Manhattan. The most economical means of transportation from either one of the three airports is by taxi. Note that in addition to the metered fare, you will be responsible for any toll paid along the way plus tips. The La Guardia Airport will provide the shortest taxi ride and the lowest fare to the New York Cruise Terminal. I traveled by taxi from La Guardia to the Hilton Garden Inn Hotel Chelsea (lower Manhattan) in July 2013 and we took the Midtown Tunnel. The cost was $45 (with 20% tip) for the trip at about 3 p.m. in the afternoon. In addition to the taxi, your family has several other options to choose from: shuttle rides, limo rentals, or public transportation. Public transportation is the least expensive, but the most inconvenient. However, if you have time to burn and would love to see a little of New York, then you should consider this option. Parking is available to those who drive to the New York Cruise Port. You can access the parking lot by driving up the Viaduct Ramp and finding an area close to where your ship is docked. Plan to pay $30 per night to park at the New York Cruise Terminal. However, for cruises 10 to 30 nights long, you will pay a maximum fee of $300. Click here for more information on the Manhattan Cruise Terminal. Now you have an idea of some places where you may stay in New York City before or after your inclusive Caribbean cruise. We have given you an opportunity to find, compare prices and see what others are saying about some hotels near Manhattan Cruise Terminal.